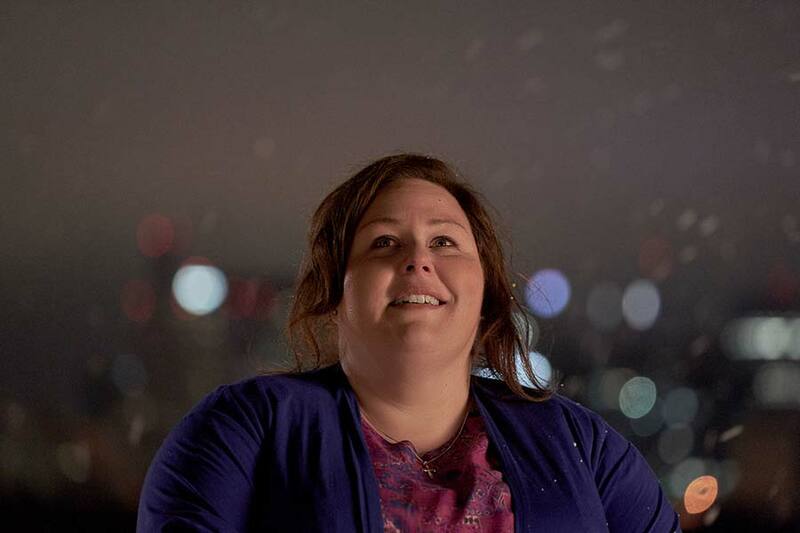 Chrissy Metz didn’t need to be convinced miracles happen; she’s seen them in her own life. Her new role in the upcoming movie “Breakthrough” just confirmed what she already knew. The “This Is Us” star has gone against the grain for as long as she can remember. As a teenager, she was in church when other kids were out doing different things. Looking back, Metz admitted during an interview with Faithwire, her commitment to her faith didn’t always make her cool. But it was what she needed at a time in life when things just weren’t easy. The 38-year-old celebrity would have to draw on that very faith in August 2017, when her mother, Denise Hodge, suffered a severe stroke. Uncertain she would make it through the night, doctors told Metz to prepare for the worst. But the actor, who plays the lead role in the new movie, “Breakthrough,” which chronicles a real-life miracle not unlike her own experience, rallied her sisters and told them to begin praying for healing. “We’re gonna be very specific about what we want and we’re gonna visualize it, we’re gonna collectively talk about it and pray about it and only think positive thoughts about it,” Metz recalled telling her family. The following morning, the swelling in Hodge’s brain had gone down. She soon regained the ability to walk and now takes more than 10,000 steps every day. She’s also given up smoking and is “the healthiest she’s ever been,” Metz said. Hodge is now working on her communication skills after being diagnosed with aphasia. None of that has knocked Metz down, though, because she believes things really do happen for a reason. “We think we’re going through this really tumultuous time and we can’t see the forest for the trees, but really, it’s gearing us up for what is intended for us,” she said. From the very first meeting with Franklin, Metz knew she was meant to portray mother Joyce Smith in the film “Breakthrough,” which tells the real-life miraculous story of a Missouri boy named John Smith who slipped deep into an icy lake in January 2015. Smith was declared dead for about an hour before he woke up in a turn of events doctors can only describe as a medical miracle. After starring in the film, her first leading role in a movie, Metz said her belief in miracles has only grown stronger. Learning Smith’s story just “confirmed what I already knew,” she explained. “Breakthrough” premieres in theaters nationwide Wednesday, April 17. For tickets and more information about the movie, click here.